Our day started with a quick trip to the high street to collect today’s Lego, the 30301 DC Comics Super Heroes Batwing. 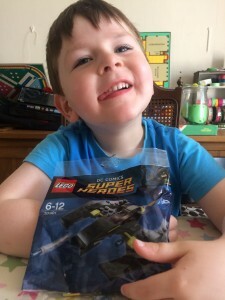 Big Brother was pretty happy about this set although he is running out of room to display them. 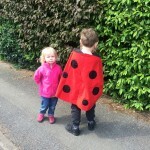 At his nursery session he had to dress up as a minibeast for a small performance. They’ve been studying minibeasts since the Easter holidays and sang some bug-related songs to small audience of mum’s and dad’s. 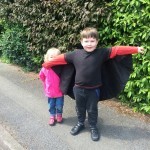 I made him a ladybird cape to wear, it was a little on the large size so hopefully he’ll get to wear it again.